Go for the gold with these Team USA keepsakes that you can design yourself! That’s right! By selecting an Olympic sport, pairing it with a patriotic design, and adding red, white, or blue, you can design your own unique gifts for USA fans. If you like to watch the gymnastics team, tennis matches, volleyball games, or triathlon (to name a few), you’ll love designing a cool keepsake with these exclusive designs – available exclusively in Kyle Design’s Online Design-Your-Own Gift Shop. 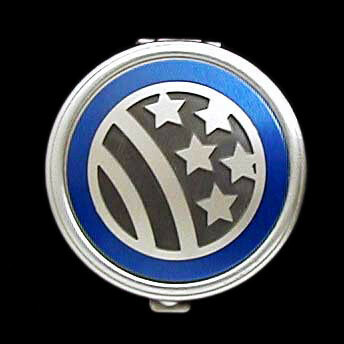 Once you’ve selected the perfect combination to represent you, add your design combo to a custom metal gift at Kyle Design. It’s fun, easy, and affordable and since your personalized item is truly unique, you’ll have satisfaction in knowing no one else has anything like it! Create your own Summer Games 2012 keepsake now and you’ll be getting compliments on your creation in no time! Want to show support for ALL U.S. teams? 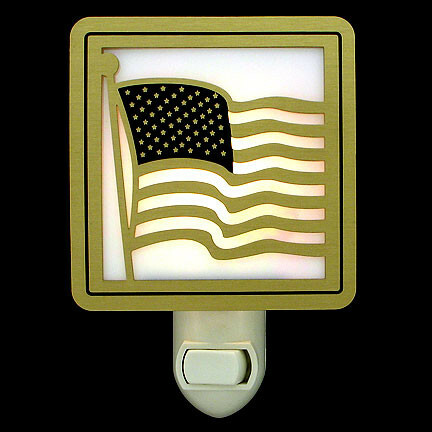 Select a unique patriotic gift featuring an American Flag or stars-and-stripes design. Show support for our country with sports themed gifts from Kyle Design. Click links below to browse unique gifts for anyone who plays or watches sports. Butterflies: Butterfly images are perennial good-sellers, but in particular this year. We sold a lot as wedding ornaments engraved with the date of The Big Day. Also popular were Butterfly memorial ornaments with butterflies being a symbol of transition from this life to the next. Shark Attack Key Ring can be engraved on the back with a humorous message. Sharks: Popular as Christmas ornaments and as desk accessories. Were these being given to an attorney as a humorous lawyer gift ? San Jose Sharks hockey fans? Surfers? People who loved the movie Jaws? Someone who makes really good shark fin soup? We never really know until someone tips us off. Vampires: This one I could figure out. What with the Twilight movie that came out in November and the popularity of vampire books like those by Ann Rice, Stephenie Meyers, Bram Stoker, Laurell K. Hamilton and Stephen King, vampires were, not surprisingly, big, big, big. Swimming: Big winner for us. Actually introduced it last year but swimmers really found us in the search engines this year! It’s a popular sport, but what’s out there most places is fairy predictable – T-shirts, caps, key chains, coffee mugs. I think customers were really happy to find something more artistic, something unique – earrings, money clips, ornaments, eyeglass cases. Pharmacy: Our other medical gifts have always done well and a pharmacist design was an often requested image, so the introduction of this pattern received the reception we were expecting. Especially popular on beaded lanyards, business card cases and ornaments. Wisdom: This Chinese symbol made a big debut – who couldn’t do with a little more wisdom in their life? I like the Jimi Hendrix quote, “Knowledge speaks, but wisdom listens.” My staff member Susan wisely predicted that the Asian character would be hot, so we prepared extra. Good call! Cupcake: Yum! One of my daughters is thinking about having a cupcake birthday party, so I figured I better do a design for it so she can give out party favors with cupcakes. I also got her the giant cupcake pan that is the size of a cake for Christmas. She is very happy. So, there you go. 2008 in a nutshell. Squirrel Christmas Tree Ornament makes a great holiday gift for squirrel-chasing dog! Click any of the photos above for more special gift suggestions or visit Kyle Design for cool Shark Gifts, Lawyer Gifts, Squirrel Gifts, Butterfly Gifts, Pharmacist Gifts, Vampire Gifts, Swimming Gifts, Wisdom Gifts and Cupcake Gifts. On a recent Sunday, I zipped off to Lake Tahoe, on the California and Nevada border, for an overnight trip. We chose to drive up Sunday morning, giving us the opportunity to look agog at all the terrible traffic going the other way and allowing us to practically sail up there in just over 3 hours. It was just my husband, our eldest daughter and me this time because our youngest was off at camp in the Colorado mountains for the week. 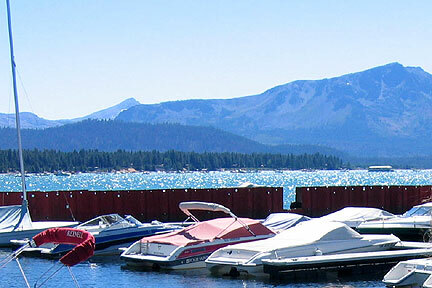 Jet Ski Rental Tip: Once at South Lake Tahoe, my husband and daughter headed straight for the jet skis. Note: the jet ski rentals are $10 cheaper at the marina on Lake Shore Blvd. near Beach Road (which has no public beach), but we rented at Zephyr Cove because there was a beach. You can rent wetsuits from them as well. I, on the other hand, quite contentedly grabbed the latest book I’m reading, Japanland: A Year In Search Of Wa by Karen Muller, found a shady spot by the sand volleyball court on said beach, and knocked out several chapters. Watched a few matches and snuck in a few winks, too. Tips for Swimmers: After that it was time to check in to our hotel, the Horizon Casino Hotel in Stateline, Nevada. The rooms were fine, but we did have a nice view of the swimming pool, and as we are swimmers this was perfectly fine by us. This hotel touted its outdoor pool as the largest at any hotel in the area. What they neglected to mention is that it pool is barely heated. I guess they assume that anyone who enjoys the cold, refreshing waters of Lake Tahoe would like their pool to feel the same way. They conveniently have no thermostat anywhere in the pool – I checked every intake. I went for a brisk 1000 yard swim Sunday morning, after catching my breath, that really was quite pleasant once you warmed up. The upside of the cold pool is that it really cuts down on non-swimmers getting in the way of your workout. No one dawdles in this pool. And it does appear to be a full 25 yards across at the dividing line between the deep and shallow areas, so no weird-length workouts. Walking Trail Tip: Later, we went for a 45 minute walk through the Edgewood Golf Course (beautiful, quiet, huge trees) and through downtown where they were replacing huge pipes in the street (ugly, noisy, huge equipment). Restaurant Tip: If you like Indian food, our favorite restaurant in Tahoe is Taj Mahal Indian Cuisine at the Quality Inn. Fresh and tasty with good service. Click any of the photos above to find out more about the Volleyball Pill Box, Swimmer’s Wallet, or Mountain Business Card Case. Or visit each of our themed gifts pages: Volleyball Gifts, Swimming Gifts and Mountain Gifts.